Bushcare Services works with project partners to manage bushland assets and restore disturbed habitats. We seek to understand our clients’ needs and find solutions for complex and competing land uses. Bushcare Services provides practical in-field design and installation solutions to support natural area projects and programs. We seek to work with our project partners to develop a healthy and sustainable natural open space that can accommodate complex and competing land uses. Bushcare Services has extensive industry knowledge, experience and networks that can deliver compliant projects on time and in budget. Our 3 major service divisions include design consultancy, programmed maintenance works and construction/ installation. Our business philosophy is about providing land managers with a more interactive ‘information based’ experience when working with our teams. Using a variety of digital reporting tools. Erosion and sediment control – Reshaping, grading, jute installation, swales and rocklined drains. Drainage rehabilitation – stormwater armouring and softscaping. Community conservation partnerships – hosting community working bees, corporate plantings and catering. Nesting boxes and habitat re-creation. Bushcare Services works with organisations and industry groups including government, development, construction, linear infra-structure and community groups. 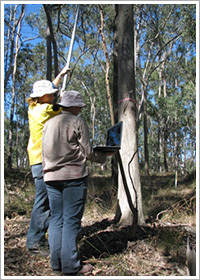 Bushcare Services has been operating since 2005. Our operational activities focus in the growth areas of South East Queensland region including the Gold Coast, Brisbane and the Sunshine Coast. Our clients are diverse in size and nature. They include State Government departments, municipal authorities, community groups, architects, construction companies, developers and utility companies. 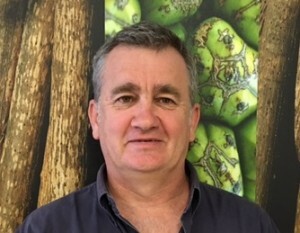 Phil has been working in the Bushland Management industry for more than 20 years – with a focus on bushland restoration. 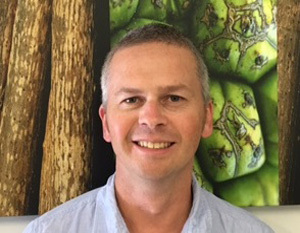 As the owner/founder of Bushcare Services, Phil has operated as a self employed field technician – later developing the business into an enterprise that services large and complex projects. His professional interests are around developing innovative solutions to manage Open Space for conservation, sustainable recreation and bio-diversity outcomes. His focus is around working with project partners to review restoration solutions by applying industry knowledge and focusing his crews to deliver high quality outcomes. Bsc in Parks Recreation and Heritage, Diploma in Resource Management. Paul has a lifelong experience with managing conservation projects – more than 20 years. Paul’s project management skills include delivering on many large and diverse revegetation projects, including some in excess of 100,000 native trees. Paul’s role includes business development, contract administration and compliance with business Quality Management Systems. 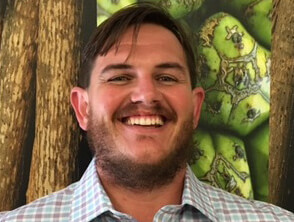 Dan has had 6 years of experience in the bushland restoration industry – 5 of those years with Bushcare Services. Through his competent experience and technical knowledge, he has worked his way through the ranks to hold the title of Operations Manager. Dan has a very practical response to managing projects, including several large and complex projects for diverse clients such as development, infrastructure and government. His responsibilities sit with providing exceptional service to clients and project partners and resourcing project outcomes through our staff and trusted contractors. Iain has worked in the Environmental and Landscape industry for more than 15 years. During this time he has worked in several roles including consultancy, hands on regeneration and more than 7 years working for Local Government in Parks, Streetscape and Natural Areas roles. Iain has developed an acute knowledge of industry and government standards with regards to assessing operational works for public landscapes and the process required to move these programs through to practical completion and off maintenance. 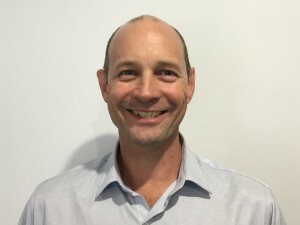 In his role with Bushcare Services, Iain is developing logistical plans to ensure that the sites in our control are managed effectively and that our time is priority focused and in line with our clients expectations.